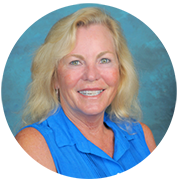 Jayne has worked as an accountant for over 30 years for non-profits, manufacturing and at another private school for nine years prior to AVCS. Working for schools is enjoyable because she likes the social interaction and seeing the kids. She is a California native and has lived in OC most of her life. Jayne has three grown daughters, two who live and work in LA and one who lives with her and attends college locally. She enjoys jogging in the morning as well as reading, cooking, biking and travel.